This was, perhaps, a bit of a strange choice for me. I'm not a fan of Platinum Games and hadn't played one in any depth before, and I don't know about the Avatar universe. I had recently watched the first three episodes of Korra and enjoyed them, and decided to play through the game. I'm glad I did. 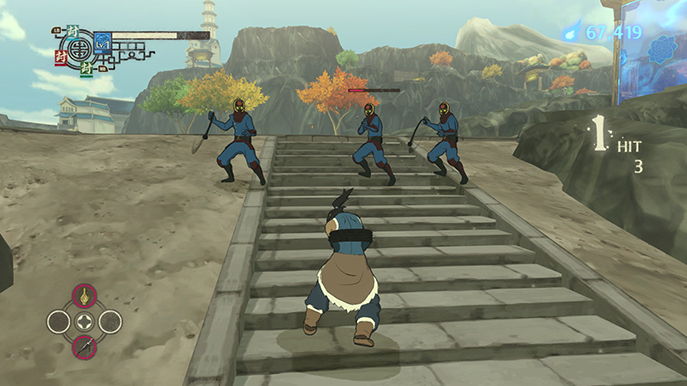 The game begins with a weak representation of Pro-Bending; a three on three sport event in which teams attempt to knock the opposition back, and ultimately off, the elevated platform which acts as the court. It's not particularly entertaining or realised for a video game well and it serves as a bit of fan-service. 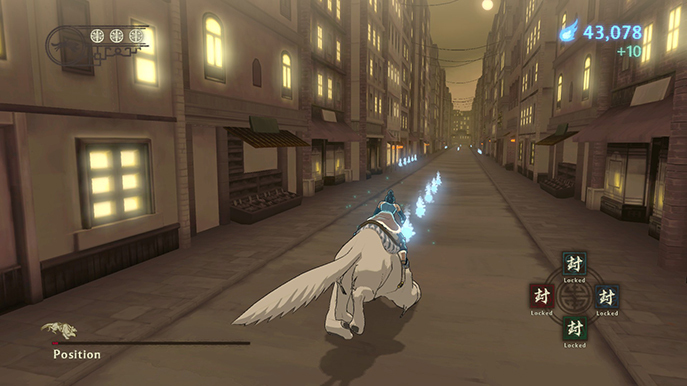 When Korra is leaving the venue, she is attacked and loses all of her powers. 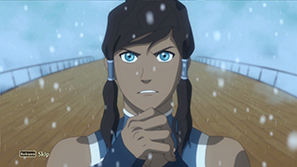 In this universe there are Benders; people than can control an element: fire, water, air, electricity etc, and there is the Avatar, who is currently Korra. The Avatar can control all elements, the only individual with that power (though you have no access to electricity, which confuses me slightly). Of course, to make this into a video game, Platinum concocted a plot in which you lose all your powers and have to set out on a quest to regain them. I can appreciate the difficulty in making a game in which the protagonist is immediately very powerful and still combining that with a sense of progression for the player, but I do wish this was executed in a slightly more imaginative manner. Anyway, powerless, the game begins. 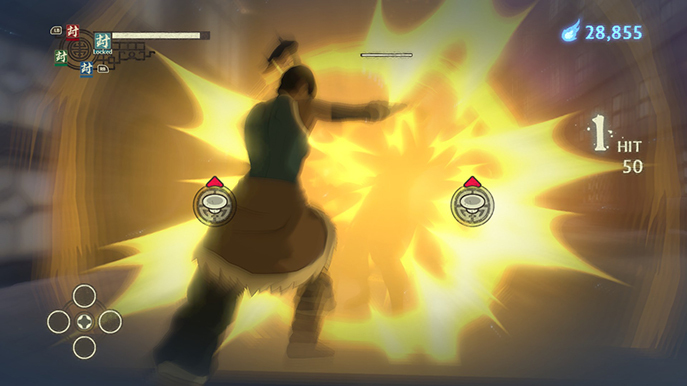 Without Bending, Korra can still kick and punch. X is a standard which you can repeatedly press for a combo and Y is the heavy attack. It plays very much like a typical action game; fight a selection of enemies (mostly chi-blockers), move on to the next area and fight the next set. Initially, this is not entertaining but is massively improved as you go through the game. You re-discover your water power fairly soon into the game and the fighting system is vastly more enjoyable. Combos are inputted with sequences of X and Y attacks and the several flashy combos make you feel far more powerful. Counter attacking is key in battle. You can block at any time but blocking exactly when you would be struck initiates a quick-time event in which you inflict large amounts of damage. These range from having to push both analogue sticks up or mashing the B button. I'm not a fan of quick-time events but these don't last long and the nice visuals make up for it. As well as water, Korra can bend earth, fire and air. Combining the four elements while attacking enemies is great fun and there is just about enough variations to keep things fresh in the time it takes to play through the game. There are some glaring flaws in the game as well. I think the bright and colourful cel-shaded graphics look fantastic but the environments are empty. They lack detail and population. When talking in-game, character's mouths don't move (which is really distracting), there are some objects in the levels that you can walk straight through and enemy types and boss fights repeat throughout the game. Another poor and unnecessary part involves sequence when riding Korra's pet polar bear, Naga. There are three lanes and you have to weave in and out, avoiding obstacles along the way. These sequences aren't especially poorly made; they just aren't any fun or challenging. They were met with a sigh from me after the first sequence whenever the game transitioned to it. 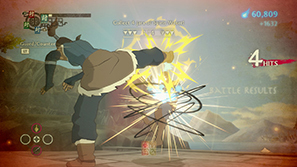 Korra's skills level throughout the game and you can buy and equip items to assist in battle. I used an item which increased my speed almost throughout the entire game and it proved very useful. Also potions and something that gave you one more full life bar after it depletes. These got me through many a difficult boss fight. 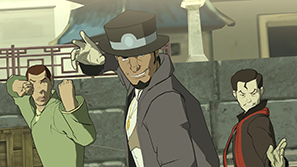 The Legend of Korra isn't a great game; but it is one that I enjoyed my time with. Every now and then I enjoy playing a game that I don't have to think about too much and this fitted the bill well. 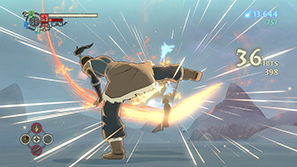 Despite being somewhat simplistic, the fighting is flashy and engrossing once you get your Bending powers back and the visuals look nice in the areas of the screen you're concentrating on. I feel it could have been improved greatly if the developers put more effort into some of the lazy design choices and sold at a slightly lower price. You can play through the game with all your powers once you finish and I probably will after a little while. - Polar bear riding sequences are no fun.